Today we know for a fact that more than 60% of all women will experience Abnormal Uterine Bleeding (AUB) during their lives. We also know that only 18-20 % of these abnormal bleeding episodes are caused by mechanical artifacts as there are polyps and myoma (fibroids). We also know that there is a natural evolution in the growth and the disappearance of especially polyps in the peri-menopause. There is evidence based proof that hysteroscopy is the best diagnostic tool to evaluate the uterine cavity ( van Herendael B.J.." Diagnostic techniques for evaluation of the cervix and the uterine cavity". Yearbook of the Flemish Society of Obstetrics and Gynaecology ed JJ Amy pp 37-45 ISBN : 90-805822-4-7-741). 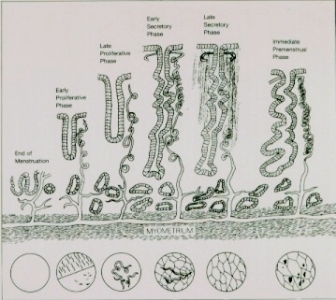 This is especially so for the evaluation of the endometrium in both physiological and pathological circumstances. 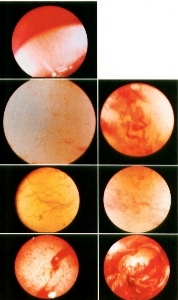 Fig 2. shows the "strawberry" pattern of the endometrium in cases of subchronic endometritis; a cause of AUB that no other technique can diagnose. Another item that is very difficult to assess is the patency of the tubal ostia at the uterine level. This can be done by the "Flapvalve" test under direct vision of the hysteroscope. When the intra uterine pressure becomes higher than the counterpressure of the isthmic part of the tube the ostium will open to let fluid pass. After a few seconds the intra mural part will close again. ( van Herendael et al 1982). As Stefano Bettocchi demonstrated, the vaginoscopic approach to the evaluation of the uterine cervix and the uterine cavity has simplified the technique of hysteroscopy to an extent that we can now hysteroscope some 98% of our patients regardless their age and parity in an office setting. 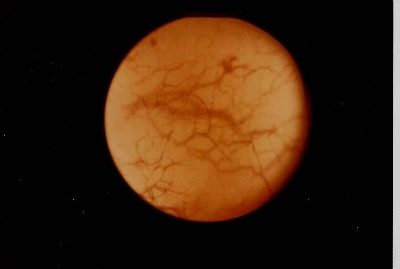 Diagnostic Hysteroscopy therefor has become the Standard of Care in the diagnosis of Abnormal Uterine Bleeding.